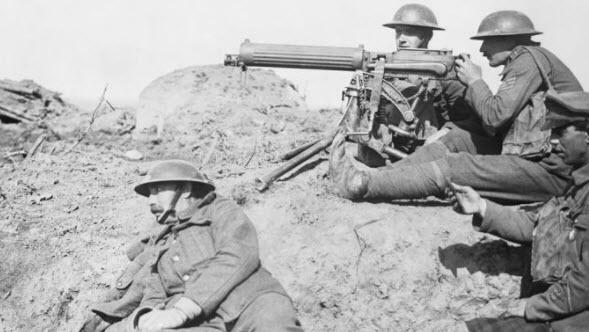 In the period preceding the World War I how many Europeans suspected that their lives would soon be forever changed – and, for millions of them, ended? Who in the years, say, 1910 to 1913, could have imagined that the decades of peace, progress, and civilization in which they had grown up, and which seemingly would continue indefinitely, instead would soon descend into a horror of industrial-scale slaughter, revolution, and brutal ideologies? A notable exception to the prevailing mood of business-as-usual, nothing-to-see-here-folks was Pyotr Durnovo, whose remarkable February 1914 memorandum to Tsar Nicholas II laid out not only what the great powers would do in the approaching general war but the behavior of the minor countries as well. Moreover, he anticipated that in the event of defeat, Russia, destabilized by unchecked socialist “agitation” amid wartime hardships, would “be flung into hopeless anarchy, the issue of which cannot be foreseen.” Germany, likewise, was “destined to suffer, in case of defeat, no lesser social upheavals” and “take a purely revolutionary path” of a nationalist hue. When the great powers blundered into war in August 1914, each confident of its ability speedily to dispatch its rivals, the price (adding in the toll from the 1939-1945 rematch) was upwards of 70 million lives. But the cost of a comparable mistake today might be literally incalculable – if there’s anyone left to do the tally. The idea that a first-strike Schlieffen Plan could knock out the Russians (and no doubt similar contingencies are in place for China) at the outset of hostilities reflects a dangerous illusion of predictability. Truth may be the first casualty of war, but “the plan” is inevitably the second. That’s because war planners generally don’t consult the enemy, who – annoyingly for the planners – also gets a vote. Recently US Secretary of State James Mattis declared that “great power competition – not terrorism – is now the primary focus of US national security,” specifying Russia and China as nations seeking to “create a world consistent with their authoritarian models, pursuing veto authority over other nations’ economic, diplomatic and security decisions.” At least we can drop the pretense that US policy has been to fight jihad terrorism, not to use it as a policy tool in Afghanistan, Bosnia, Kosovo, Libya, Syria, and elsewhere. And of course Washington never, ever meddles in “other nations’ economic, diplomatic and security decisions” . . . There is much anticipation that release of a House Intelligence Committee memo “naming names” of those in the FBI and elsewhere inside and outside of government to thwart the election of Donald Trump and cripple his administration with a phony Russian “collusion” probe will be a silver bullet that upturns the Mueller probe and cleans the Augean stables of the Deep State. Even in that unlikely case, the damage is already done. The primary purpose of Russiagate was always to ensure Trump could not reach out to Moscow, as seems to be his sincere desire. Even as the narrative began to boomerang against those who launched it, Trump’s defenders (such as fanatical Russophobe Nikki Haley) are as adamant as his detractors that Russia is and will remain the main enemy: Russia was behind the Steele Dossier, Russia tried to “corner the market” on “the foundational material for nuclear weapons” with the Uranium One deal, etc. Hostility toward Russia is not a means to an end – it is the end. At this point Trump is fastened to the neocons’ and generals’ axle, and all he can do is spin. Echoing Mattis, in his State of the Union speech Trump lumped “rivals like China and Russia” together with “rogue regimes” and “terrorist groups” as “horrible dangers” to the United States. (Note: The word “horrible” does not appear in the posted text. That evidently was Trump’s adlib.) The recently issued “name and shame” list of prominent Russians is a veritable Who’s Who of government and business, ensuring that there’s no American engagement with anyone within screaming distance of the Kremlin. To be fair, the Russians and Chinese are making their own war preparations. Russia’s “Kanyon,” a doomsday nuclear torpedo carrying a massive warhead, is designed to obliterate the U.S east and west coasts, rendering them inhabitable for generations. (Wait a minute. Is it any coincidence, Comrade, that the coastal cities are just where the Democrats’ electoral strength is? Talk about “collusion!” Somebody call Bob Mueller!) For its part, China is developing means to eliminate our white elephant carrier groups – handy for pummeling Third World backwaters but useless in a war with a major power – with drone swarms and hypersonic missiles. Just as in 1914, when Durnovo referred to “presence of abundant combustible material in Europe,” there is any number of global flashpoints that could turn Mattis’s “great power competition” into a major conflagration that probably was not desired by anyone. However, if the worst happens, and the lamps go out again – maybe this time forever – Americans will not again be immune from the consequences as we were in the wars of the 20th century. The remainder of our lives, however brief, might turn out very differently from what we had anticipated.